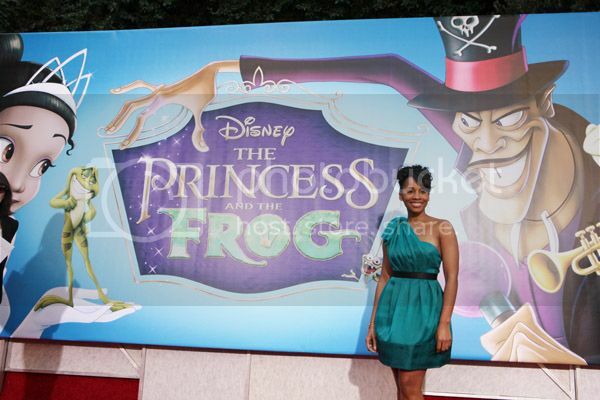 Anika Noni Rose, actress and voice of Princess Tiana in the film The Princess And The Frog, attends the movie's premiere on November 15, 2009 in Burbank, CA. 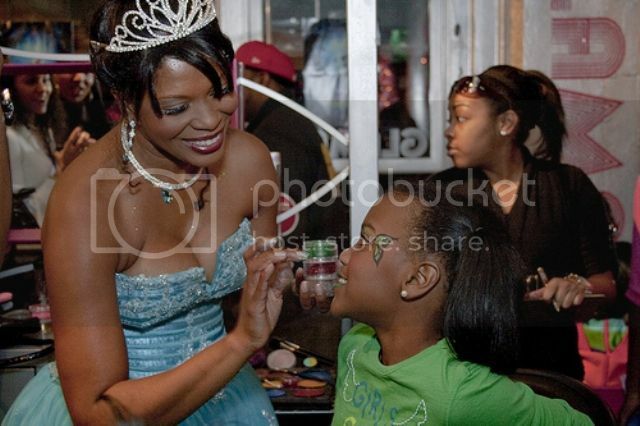 Via Garner Circle PR: On December 11, 2009, Glam Bar, a one-stop beauty haven located in the historic Castleberry District of Atlanta, hosted "Princess Dreams," a beauty and pampering night out for mother/daughter pairs in conjunction with Carol's Daughter for the Disney movie. 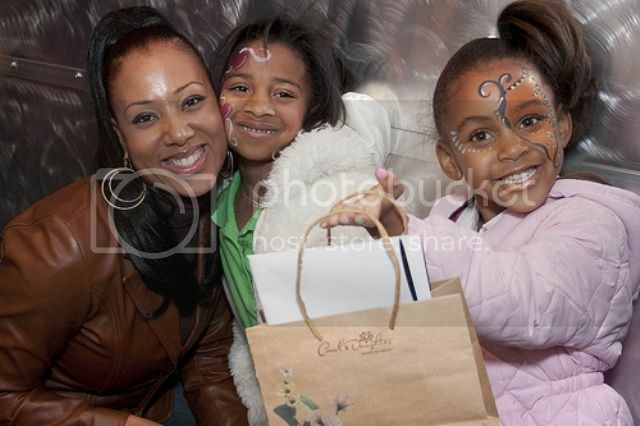 Makeovers were given to under privileged young girls from the following foundations: Big Boi's (OutKast) "Big Kidz" Foundation, Diamond in the Rough Girls Group, Show Me the Way, and Cool Girls, Inc., to prepare for a night out at the movies. 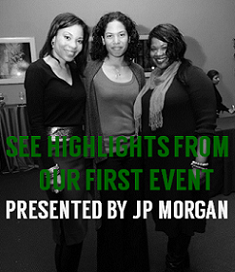 Excited to make this a memorable experience, Sherlita Patton (wife of Antoine "Big Boi" Patton); Tami Reed (Talkingwithtami.com); Yvette Caslin (Executive Director, Rolling Out Magazine); and Tashawnya Rainey (Show Me the Way Foundation) signed on as event hosts for the evening. 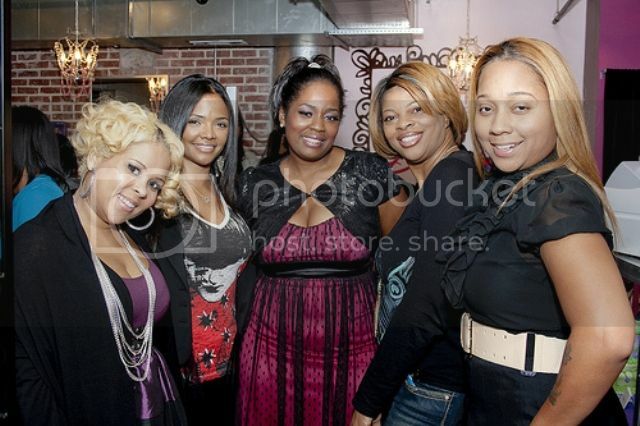 And let's not forget about the fathers! To help build awareness for the film, Disney partnered with the National Fatherhood Initiative (NFI) to help in its outreach to fathers, families and community organizations that serve them. In November, NFI distributed 500 free educational materials to community organizations to help them recruit and retain fathers for their programs by creating more father friendly environments at their sites and providing fathers with fun gifts they can give to their daughters. 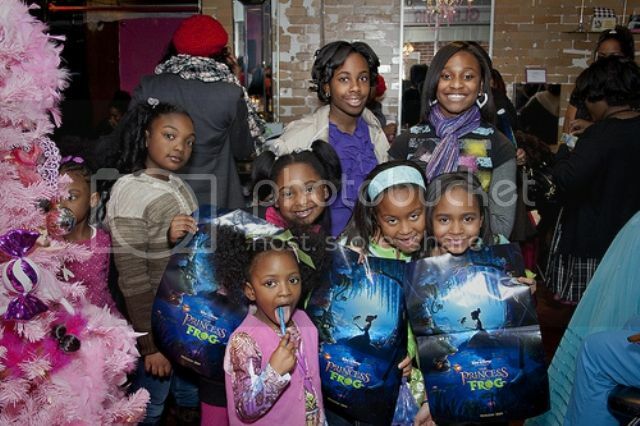 NFI president Roland C. Warren shared, "The Princess And The Frog illustrates the power of a father's legacy, born from the love he has for his daughter...at a time when too many children grow up without their fathers, this film provides a timely and powerful message." 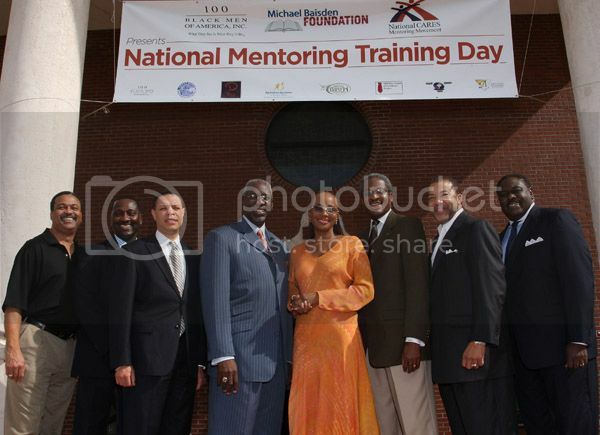 Bobby Hall, Gayle S. Nelson, Dr. Rustin Lewis, Dr. Walter T. Richardson, Susan L. Taylor, Albert E. Dotson, Jr., Thomas W. Dortch, Jr. and Johnny Furr at 100 Black Men of America and The National CARES Mentoring Movement National Mentoring Training Day "Save a Kid Tour" at Antioch Missionary Baptist Church on December 12, 2009 in Miami, Florida. Representatives from 100 Black Men of America, National CARES Movement, Big Brothers Big Sisters, The United Way, local faith-based organizations, and various community groups educated participants about various mentoring programs and opportunities in their respective organizations for the National CARES Mentoring Movement's national mentoring day in Miami, Florida. 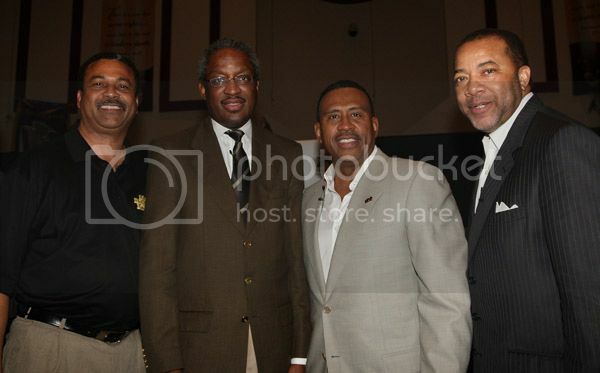 Nationally syndicated radio personality Michael Baisden announced his partnership with these organizations and his personal commitment to mentorship through his 2010 cross-country tour - "Save Our Kids." 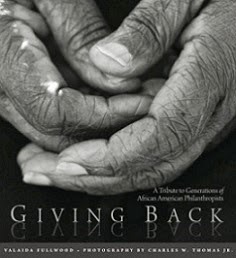 For more information, visit http://www.100blackmen.org/. 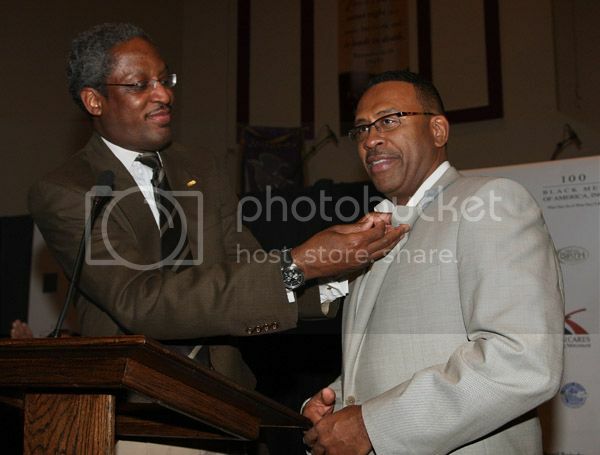 100 Black Men of America Chairman Albert E.Dotson Jr. pins Michael Baisden as an honorary 100 member at the 100 Black Men of America and The National CARES Mentoring Movement National Mentoring Training Day. 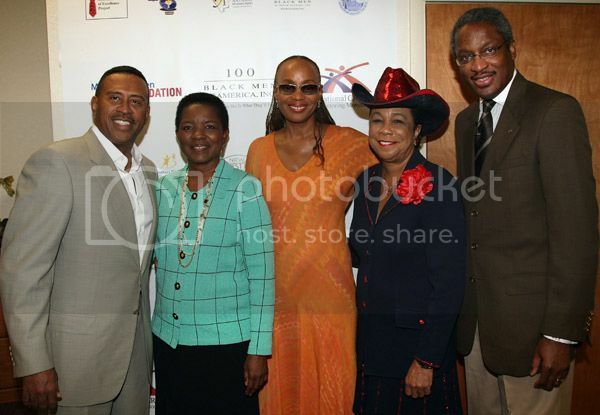 Michael Baisden, Miami Garden Mayor Shirley Gibson, National Cares Mentoring Movement (NCMM) CEO Susan L. Taylor, Senator Fredericka Wilson and 100 Black Men of America Chairman Albert E.Dotson, Jr.